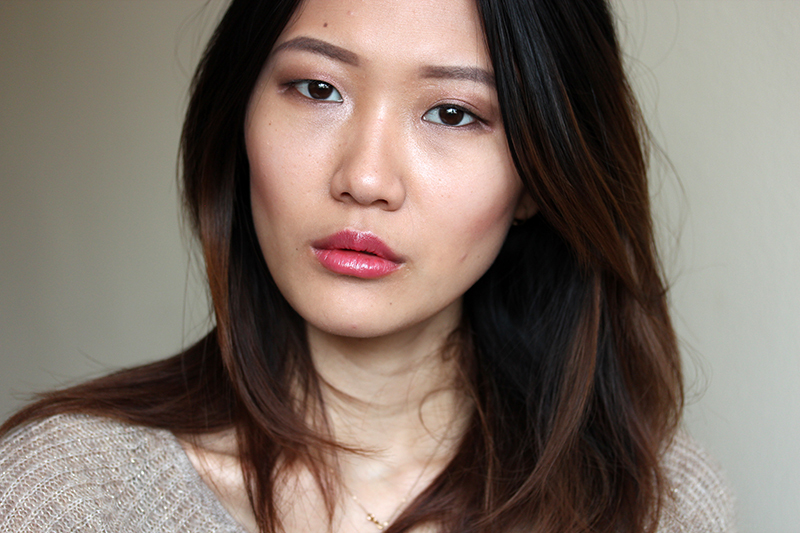 Seeing beauty products day in, day out (literally. My day job is firmly ensconced in the beauty industry), it all becomes a blur, so it's only when I settled down to write my review of the Living Proof Perfect Hair Day products that I noticed the "hair feels cleaner, longer" claim on the shampoo. In this day and age of hyperbole marketing, a brand's description of a product (24 hour moisture! 10 hour shine!) is akin to web banner ads – something savvy consumers have trained themselves to ignore – which is why I'm pleasantly astonished to report that the PhD Shampoo actually lives up to those four little words. Rewind to my moment of revelation: five days post-shampoo+conditioner, I was mulling over whether I needed to wash my hair that day, and decided not to. As for the PhD Conditioner's claim to "improve hair over time," all I can say is my hair never looked better than in my two most recent photo shoots (you can see more pictures in my recent posts on Clinique's new blushes and Rouge Bunny Rouge's new sheer lipsticks). Applying the PhD 5-in-1 Styling Treatment on damp hair and blow drying normally gives me sleek, straight, shiny Jennifer Aniston hair (sorry, couldn't resist). Unfortunately, in keeping with the tradition of yearning for what we don't have, I don't like wearing my hair completely straight, so the Styling Treatment is not my cup of tea. 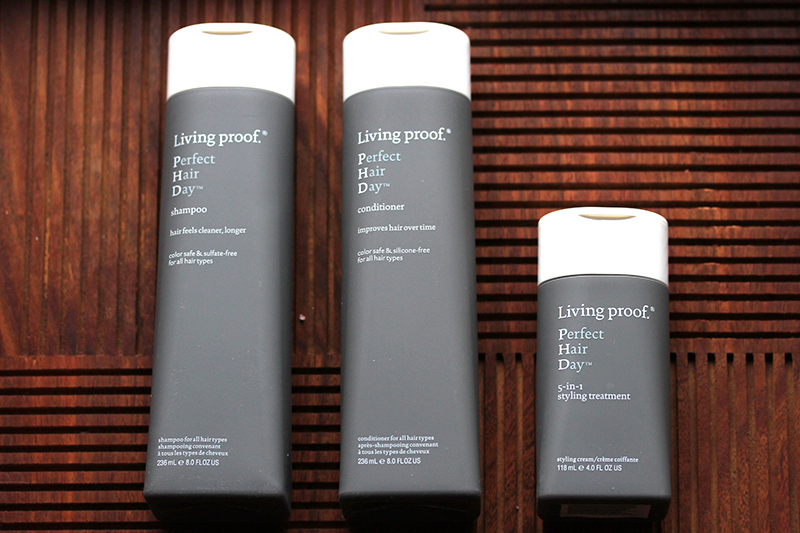 All Living Proof products are sulfate-free (yay for chemically treated hair), silicone-free, and oil-free. The Living Proof Perfect Hair Day collection retails for $10-28 and is available for sale at Sephora and Ulta. Full disclosure: This entry contains sample product(s) sent by the brand for editorial consideration. This entry also contains affiliate links.